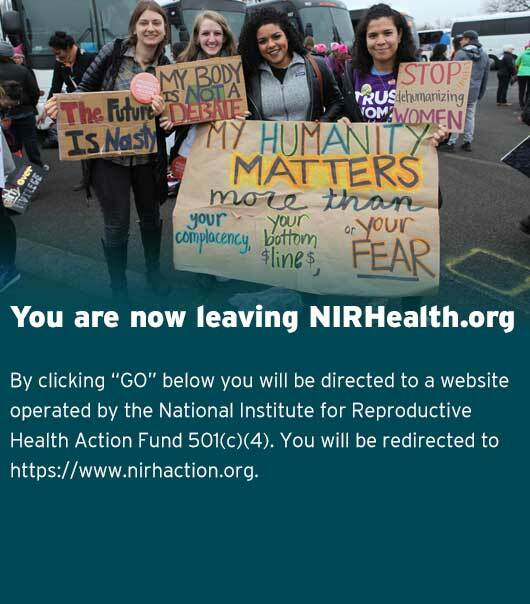 The National Institute for Reproductive Health (NIRH) works to increase access to reproductive health care and secure reproductive freedom by changing public policy, galvanizing public support, and normalizing women’s decisions about their reproductive lives, including to have abortions and use contraception. The National Institute for Reproductive Health Action Fund (NIRH-AF), with associated PAC (Political Action Committee) and IEC (Independent Expenditure Committee), conducts nonpartisan advocacy and electoral engagement to advance reproductive health, rights, and justice in states and cities across the country. NIRH and NIRH-AF seek a highly-qualified leader who excels in managing high-performing teams as well as all aspects of internal operations — including but not limited to, financial strategy, programs, communications, development, operations, and board relations — as our EVP, Chief Strategy & Operations Officer (EVP, CSOO). The EVP, CSOO will be the right hand to the President and work closely with the Boards of Directors to provide strategic input as well as taking the lead on developing and implementing operational and programmatic management strategies for the organization. The EVP, CSOO is a newly created position and will play a significant role in: shaping the future direction of NIRH; ensuring the necessary operational and financial systems are in place; creating critical accountability measures; and ensuring staff empowerment, leadership development, and continued commitment to our mission. The EVP, CSOO will provide management support and operational cohesion across the organization. The EVP, CSOO serves a key leadership function, provides an active voice in the organization’s strategic decision-making, and will design and implement systems and protocols to ensure annual growth. Reporting directly to the President, the EVP, CSOO will supervise the leadership team of 3 direct and one indirect report. The President and the EVP, CSOO will lead a total team of 30 and manage a budget of $8 million. This is a full-time position located in New York, NY. Lead and manage executive team, ensuring strong collaboration, high performance, and clear accountability. Provide organization-wide executive leadership, spanning every function including program, operations, finance, human resources, communications, and development. In conjunction with senior leadership, define, champion, and implement internal diversity and inclusion efforts. Partner with direct reports and managers across the organization to define, embody, and champion NIRH culture and core values. Serve as organizational decision-making authority in President’s absence. Support leadership to develop annual plans, including operational benchmarks, timelines, and the human and financial resources needed to achieve goals, proactively recommending and driving improvements as necessary. Ensure NIRH’s financial strength and operating efficiency connected to our overall growth and impact plan in coordination with the VP for Finance and Administration. Provide guidance to the NIRH and NIRH-AF Boards of Directors and act as staff liaison to the relevant board committees. Provide effective coaching and staff development to further build the management capacity of internal leaders and their teams and promote a learning culture that supports professional growth. Ensure effective internal communications, innovation, and sharing of best practices across the organization. Collaborate closely with leadership to drive short- and long-term strategic and programmatic priorities, develop and achieve annual measures of success in alignment with the current strategic plan, and ensure that teams have the necessary resources and supports to achieve meaningful outcomes in their work. Work with the President and staff to ensure that an equity lens, including a racial justice focus, is applied to organizational operations, including internal processes and infrastructure. Ensure disciplined organizational focus; clear goals, tactics, milestones, and metrics for success; and the necessary systems to track and share critical programmatic, operational, and financial information across the organization. Develop and implement plans for the operational efficiencies of systems, processes, and personnel designed to accommodate growth objectives. Ensure fiduciary and regulatory compliance and effective internal controls. Strong candidates will offer a genuine passion for the NIRH and NIRH Action Fund’s mission and goals, strong operations management skills and experience, and the desire to help shape the organization’s long-term vision and impact. Competitive benefit package and salary commensurate with experience. NIRH and NIRH Action Fund has engaged Koya Leadership Partners to help in this hire. Please submit a compelling cover letter and resume to Liz Lombard and Turner Delano here. The National Institute for Reproductive Health and NIRH Action Fund is an equal opportunity employer. NIRH and NIRH Action Fund strives to build and support an equitable work community that attracts, develops, and retains exceptional people. As a member of the reproductive freedom movement, NIRH aims to foster leadership and raise the voices of historically marginalized people, including but not limited to Black people and people of color, indigenous and native peoples, LGBTQ and gender non-conforming or gender non-binary people, disabled people, immigrants, and low-income people. We strongly encourage candidates of these and other diverse backgrounds to apply.